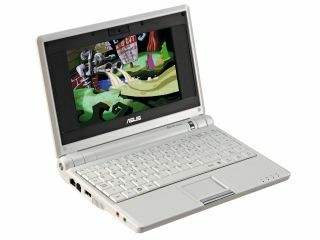 Next year could see the arrival of a new Eee PC that costs less than £150, according to Asus' CEO. Speaking to Laptop Mag – Jerry Shen insisted that the Eee range will not creep up above the 10 inch range, but confirmed that a touch-screen netbook would be coming in mid 2009, and that the price range would expand downwards as well as up. "We will provide more exciting products next year and the price range will be from $250 to $700," said Shen – sparking hopes in the UK that the £150 price barrier will be beaten, and create as much of a stir as the original 701 did. "We will announce a model in Q1 and in Q2 of 2009. They are exciting and in my definition they are cool and the industrial design is stylish. "We work hard to incorporate five sense innovation. We also want to make sure the innovation has low temperatures and long battery life. "We want the user to experience fast boot up times, quiet performance, a very long battery life and low temperatures." Netbooks have already proven to be a huge hit in the UK and the prospect of an ultra cheap newEee will no doubt spark more interest. The major supermarkets have been heavily involved in the price cuts, with the likes of Sainsbury's and Tesco offering versions of netbooks.